THE MODEL: A unique crowdsourcing approach to wifi where users can find ‘Fon spots’ and connect to the internet. Also users can share their extra bandwidth, which makes these spots available. Core Idea – A wifi crowdsourcing concept making access easily available in different locations. 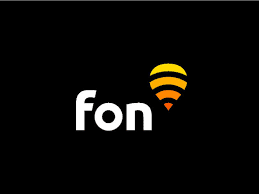 Access Pass or Subscription Model – Users can purchase internet access either on a per usage basis or can subscribe on the Fon mobile app for unlimited usage. Partnership with Local Telecom Vendors – The startup has partnered with various telecom vendors in different countries. This gives the startup a wider reach and regular usage. The telecom vendors, in return, can offer their users a wider internet coverage. Customized Plans – The startup also offers business users customized packages based on their business needs. Competition – Other wifi crowdsourcing startups as well as telecom companies will be competition for the startup. Usage – Crowdsourcing will be useful mostly in the case of roaming. Reduced charges and access in remote areas seem to be the core benefits to a user. Owing to the big telecom companies, how much of this pie the startup can capture is a concern. Going the B2B route, i.e. tying up with telecom companies, seems a good option for the startup.